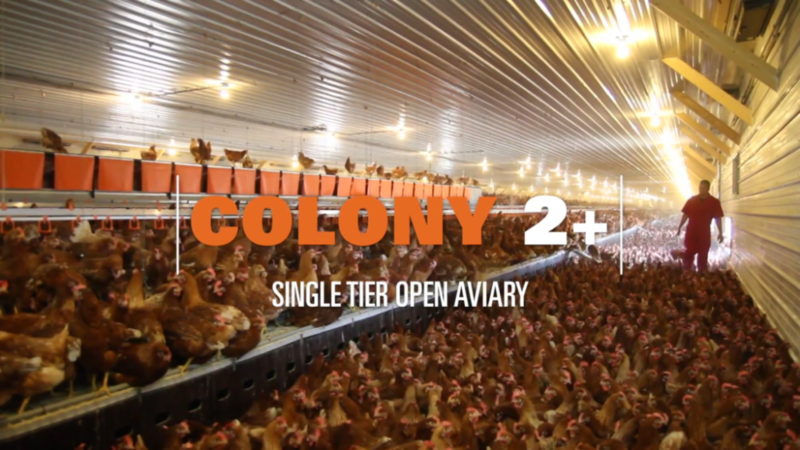 The Colony2+ is a completely open single tier aviary design. The name Colony2+ comes from the nest design, which is the most innovative in the industry, with a patented tilting nest floor. 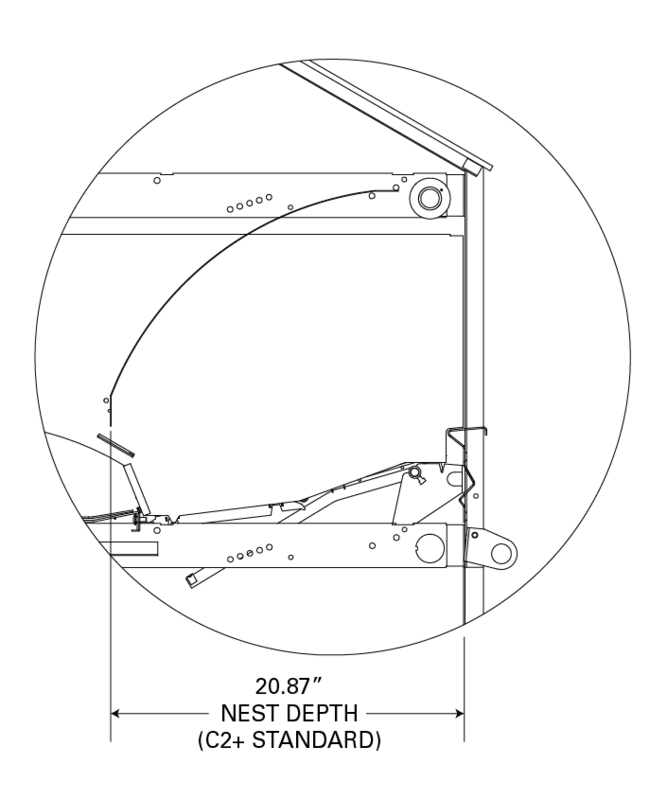 This nest design increases nest acceptance, improves the number of quality eggs, and promotes a cleaner nest. As the nest closes at night, any eggs in the nest gently roll off onto the egg belt, and the nests are closed to prevent hens from trying to sleep in the nest. As the nest closes, any dust and other material that gathered will drop off the nest pad, allowing the nest to remain clean. Depending on the circumstances in the house, Colony2+ is available as wall mounted or as a double nest with one or two tiers. 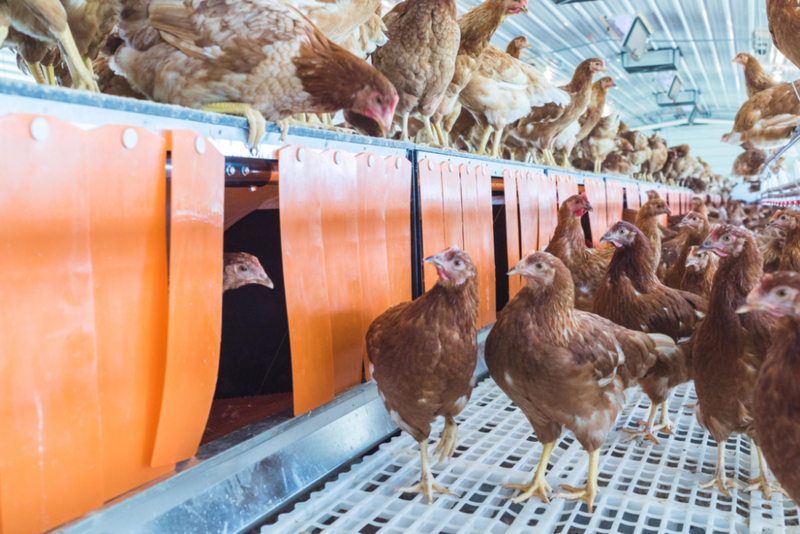 The nest is made of waterproof film-coated wooden panels, galvanized sheet metal profiles and stainless steel posts, making the Colony2+ very hygienic and extremely rugged. 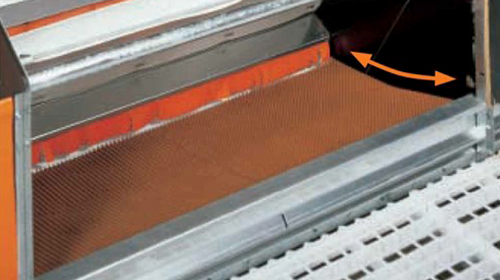 The proven Champion Chain feeding system improves production, and profits by delivering superior feed flow in an easy to install system that requires little maintenance, and is built to deliver over a long period of time. The Champion Chain Drive is specifically designed to ensure excellent feed flow and correct sprocket engagement, and presents feed according to the producer’s management schedule—not the manufacturer’s schedule. Feed can easily be increased or decreased depending on your schedule. The entire flock has easy access to fresh water whenever they want it. Our water placement is intentional in order to promote bird movement within the system, which is vital for a healthy flock. When birds move around air flow is increased, resulting in healthier birds, a calm flock, and drier litter. The Colony2+ nest system is available in two (2) options, the standard, and the XL. Both options maintain the same precision engineering and quality material, but the XL offers more space for your hens. 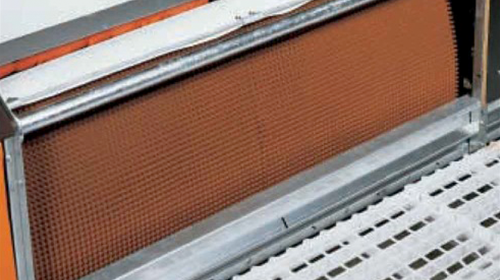 Colony2+ and Colony2+ XL are innovative designs for an automatic group-laying nest for broiler breeders, layer breeders and layers. 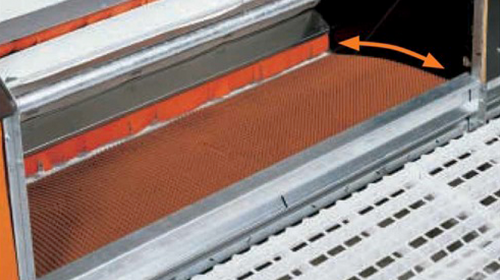 Special characteristics of this automatic nest are its central egg belt and the patented divided tilting nest floor. It’s the hen’s natural desire to find the most secure place to lay her eggs. The nests are located in areas to provide this sense of security they seek. 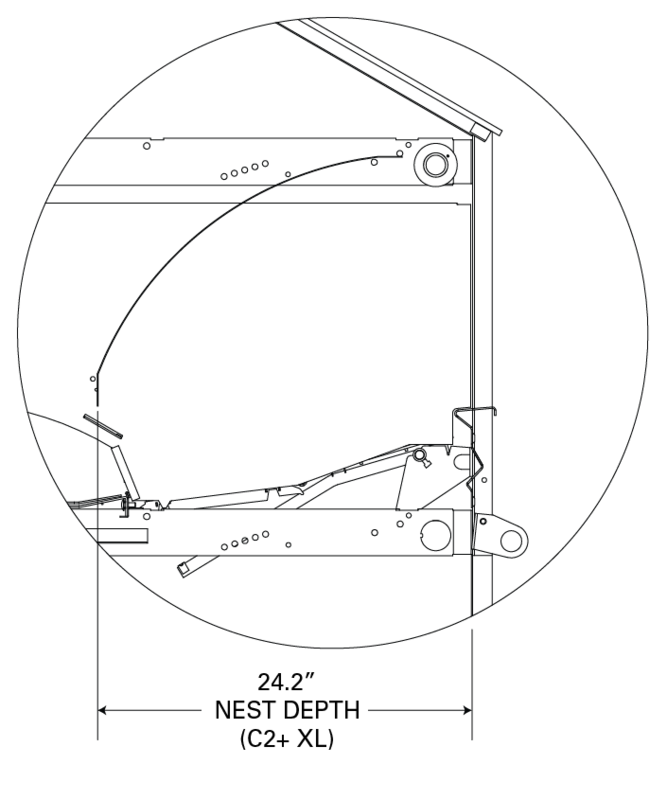 After the egg is laid, it gently rolls out onto the egg collection belt, and then heads to the egg packing area automatically. The flat top design offers more floor space for your flock, and is constructed of heavy duty materials to take the weight of your flock. 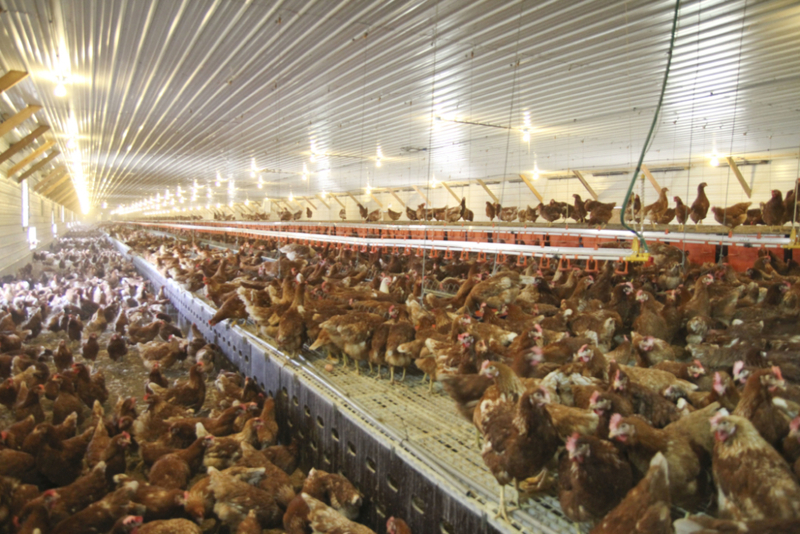 Strategically designed perching provides plenty of space for the flock to perch, resulting in a high performing, uniform flock, with less stress. 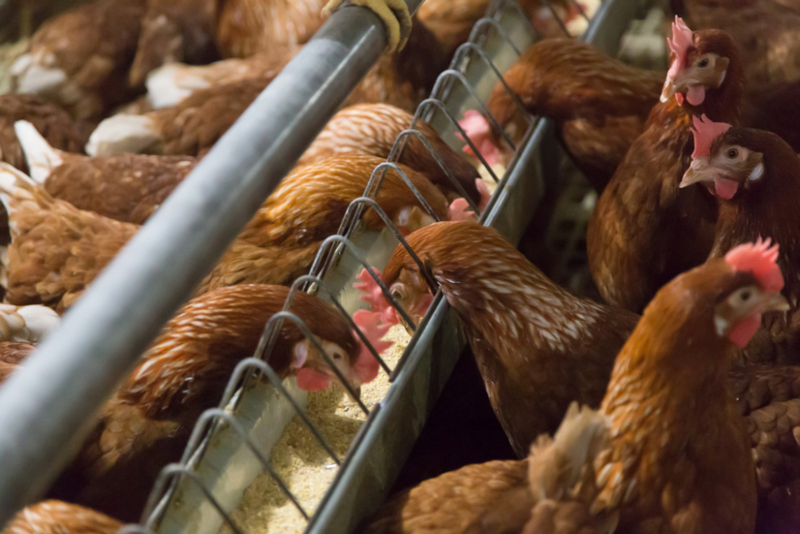 Perches allow the hen to relax, and the position of the perches keep matter from soiling the feed or water. Every evening the entire flock makes their way off the litter aisle floor all by themselves. With the flock up off the floor every night the litter is able to dry thoroughly, providing quality litter in which your flock can forage, dust bathe, and move around without the litter sticking to their feet. The better the quality of litter, the more the hens will use this area to act out their natural behaviors, improving the welfare of the entire flock. Your flock finds security and comfort in a group, so every night the entire flock moves back into the system without any human involvement. As the lights dim, the hens begin to hop up into the system for the night.